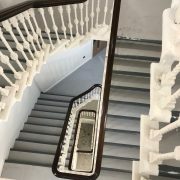 To the undiscerning eye, staircases provide a necessary function within any building: they help you go up, and they help you go down. The landmark design statements are secondary and are probably best left for other elements within the building. But for those who know different – architects, designers and even art lovers – we know that stairs have the power to move, emotionally as well as literally. 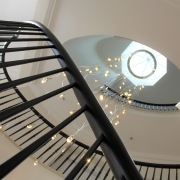 Conceived and create properly, stairs can be art in its purest and simplest form. From the sweeping curves of the helical staircase at the Vatican Museum in Italy, to the stunning modernity of the Garvan Institute in Australia, simply looking at the movement and the design can create feelings every bit as intense as a painting or a sculpture. 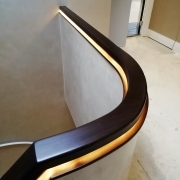 These and other great examples of the stair designer’s art confirm that experimentation has been the hallmark of the designer throughout the centuries, in terms of materials, colours, meeting space constraints or creating different forms and structures. 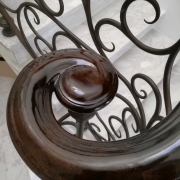 At Handrail Creations we experiment in using exotic hardwoods and a host of different section shapes that reflect both the personalities of the architects that create the buildings as well as the values of those who commission them. 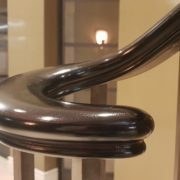 The finish must be immaculate; the effect must be impressive but the handrail, first and foremost, must always be practical and must always ensure that what goes up can always safely come down again.